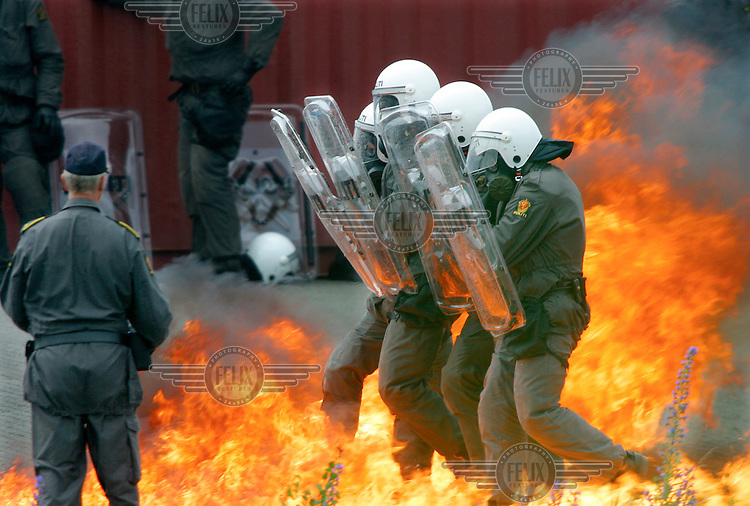 Police practice riot control methods at an abandoned airfield outside Oslo. In the lead-up to a World Bank conference in the city, violent demonstrations were expected. In the event, the protests were peaceful.